$45 is for 5 grams. 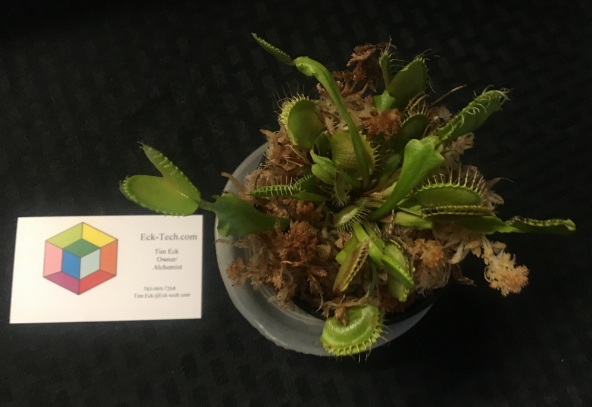 I made this Venus Fly Trap Extract by feeding 3 plants noble elements in distilled water for weeks. Then I sacrificed the plants right after viewing the Solar Eclipse of 2017. I added the whole plant to warm structured distilled spring water and blended it all up. After filtering it out, it’s now a full plant extract ready to consume. 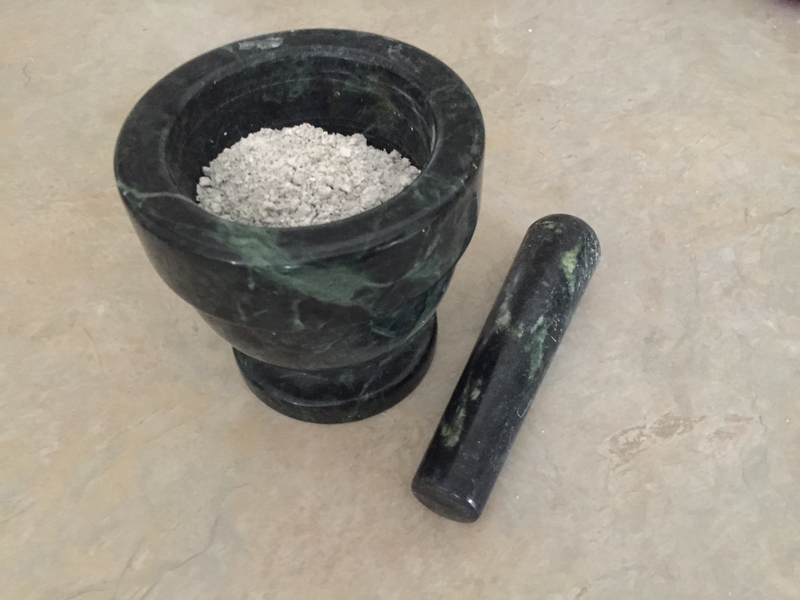 I then took that extract and added Dead Sea Salt and Natron to make Ormus. And finally I let it dry out in a dehydrator to make a concentrated Ormus Powder. How Does Venus Fly Trap Works? The insectivorous plant waits until the prey falls at the desired place on the leaf to taste the sap. The insect will not be aware that it is falling as a prey for the plant. As soon as the prey is recognized by the plant, the jaws of the plant surround the prey and covers the body. The insect struggles for some time and later the plant will digest the insect slowly. It is found that there are more than 500 different types of carnivorous plants that consume insects, spiders and other two-cell aquatic beings. The carnivorous plants have to look beautiful and attractive in order to arrest and slay the insects. The extract of Venus flytrap is useful in the treatment of several forms of cancer, multiple sclerosis, ulcerative colitis, chronic arthritis, herpes infections, and even AIDS. This carnivore plant extract is usually administered through inhalation or injection. 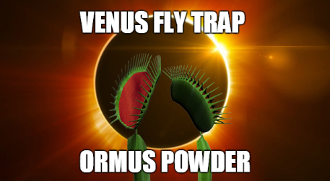 There are reports indicating that Venus Fly trap is beneficial in shrinking solid tumors. The extract of this plant is reported to be functioning for any type of cancers except for leukemia. This plant extract is found to be working for cancer treatment even more when the patient has not undergone any radiation therapy or chemotherapy. The extract of Venus Fly trap is known to be functioning well in patients suffering from HIV virus. This plant extract and its formulations are known to be working effectively in enhancing the function and number of T-helper cells as well as the immune system components. An experiment regarding the increase of T-helper cell count is conducted by Dr. Keller from Boston University. The pharmaceutical extract synthesized by Dr. Keller was called as Carnivora. 1. A patient called Betty Williams from Ames at Iowa aged 65 years was diagnosed with inflammatory breast disease. The disease that she had is considered lethal and she was left with no hope of survival after she finished taking her treatment from cancer doctors. She came to know about Dr. Keller carnivore treatment and approached him for the same. She was administered with the medicine for three hours per day in the form of intravenous injection. The patient could recover well. 2. The reporter for Herb Quarterly, Morton Walker reported that former US President Ronald Reagan regularly used Venus Fly trap extract. After a colon polyp surgery, Mr Reagan was sent to a place at Germany to take the extract of Venus Fly trap to cease the cancer spread. It is also reported that the President took from then onwards 30 drops of the Venus flytrap extract mixed in water or tea every day for about 4 times every day. If the Venus fly trap extract was administered as an injection, some problems like fever, vomiting and nausea were observed. There are hundreds of powerful plant chemicals that have scientifically shown evidence of their ability to destroy and weaken cancer cells. The Venus Fly Trap, specifically the extract of Dionaea Muscipula species, has 17 multi-faceted immune supporting compounds. The original research behind this extract began in the late 70’s by Dr. Helmut Keller, an oncologist. He was frustrated with the dismal results from the traditional oncology treatments. After purchasing a bouquet of flowers for his wife, he haphazardly noticed the activity of a Venus Fly Trap and a bell went off in his head. If this carnivorous plant could digest insects without harming its own cells, it must possess a very powerful Immune System. He was right. He created a patented product called Carnivora. Plant-derived building blocks that your body can use to rapidly create any hormone that your body needs. These substances, also called phytosterols, are vital to a healthy balanced endocrine or hormonal system. The major problem for people in westernized cultures is that we do not get enough of these essential nutrients from our current food intake and it is becoming more difficult, not to mention all the factors that interfere with this process.